A new three year deal with Nike was announced near the end of the 2015/16 season, which would see their UK professional football club service provider, Just Sport Pro Club, continue to supply the Club with kits, and included a new refit of the Club Shop over the summer. 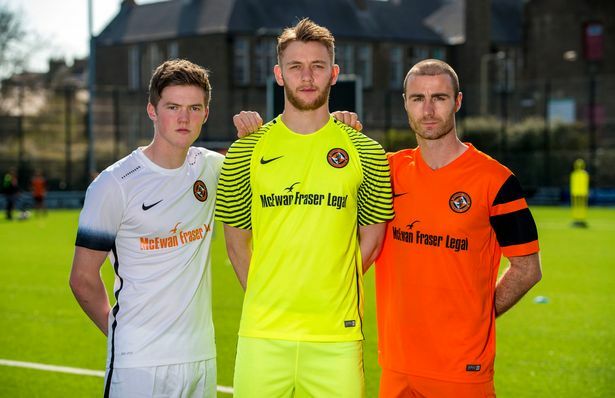 The new Away kit, along with the new Home, Third and Goalkeeper kits, were unveiled at the GA Arena prior to the final game of that dismal season. The new Away shirt was again made from Nike's usual Dri-FIT fabric technology, and was mainly white, with a black trim up either side of the body. The sleeves had a "fade to black" effect at the cuffs, and on the shoulders was a black dotted pattern, with the usual Nike swoosh and embroidered club badge on the front. Accompanying the shirt were white shorts, also including the fade to black effect at the legs, and white socks. This was the first all white kit since the 2012 design, and continued a tradition that saw the white away kit nodding back to the famous white United strip from the 1960s. New shirt sponsors McEwan Fraser Legal, a UK-wide estate agent, agreed to a two year deal, whilst also seeing their name on the shirts of both Dundee and Inverness CT during that time. Their company logo was printed across the front of the shirt in a tangerine font, and was joined with continuing sponsors GA Engineering and JF Kegs on the back of the top, with JF Kegs also having their name on the shorts as they had done over the previous two seasons. The haulage contractor Norman Jamieson Ltd also continued their sock deal for the third year in a row. 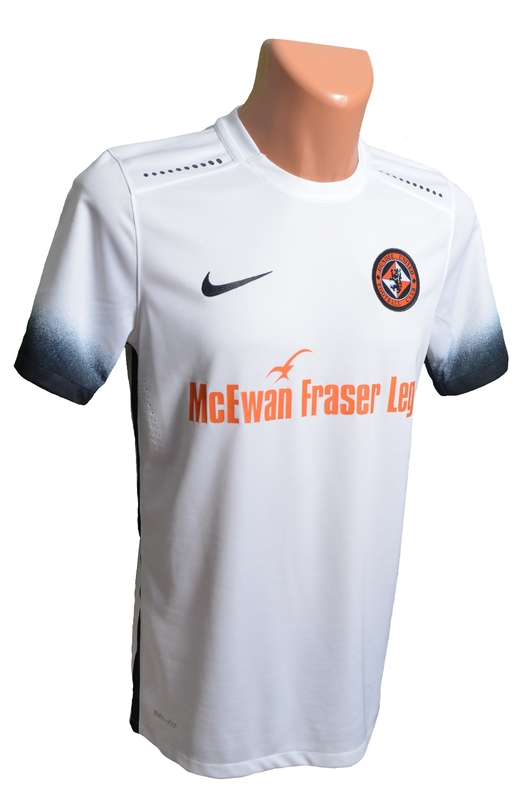 The Away kit was first seen in a pre-season match at Brechin, and again at Arbroath in the opening Group Section match of the recently revamped League Cup competition.